You are here: Home / *Easy Free Samples by Mail / FREE Traditional Home Magazine Subscription! 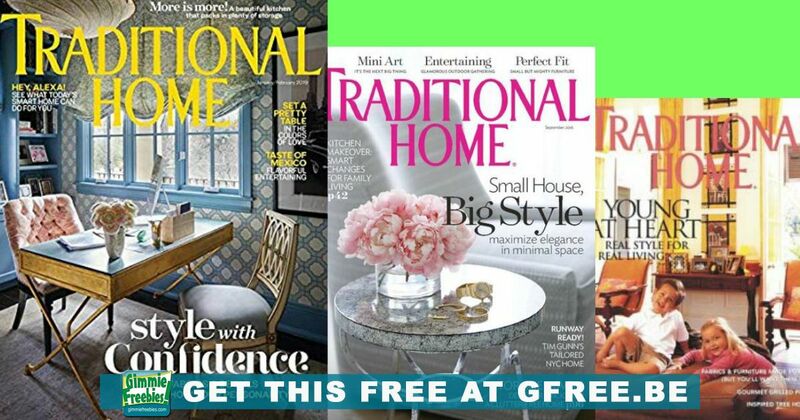 FREE Traditional Home Magazine Subscription! Compare to $39 cover price on Amazon.com! Now, claim your Traditional Home Magazine – if you already get it, be sure to use the exact same name and address so you get two full years instead of two magazines every month. One of America’s most beautiful magazines featuring tours of exquisite homes and gardens, decorating and renovation ideas, entertaining and collecting.